In recent years, the Child Support Enforcement Program has added new penalties to the list of tools used to persuade parents to catch up on back child support. If you fall significantly behind in your child support payments, the privilege of international travel may be revoked by confiscation of your U.S. passport or denial of your passport application. The Child Support Enforcement Program is a collaborative program between the federal government and state and local municipalities that assists children and their families with the collection and enforcement of child support awards. CSE is routinely operated at the state level, typically by a state human services department, or similar agency, with assistance from law enforcement and local family or domestic relations courts. Once an order for child support is established and a custodial parent requests CSE's assistance, CSE monitors and enforces payment. When you become past due, CSE's first line of enforcement measures kicks in. This typically include seizure of state and federal income tax refunds, suspension of driver's license, placement of liens on property and seizure of bank accounts, and addition of derogatory listings on credit reports. When a noncustodial parent's failure to pay child support becomes especially egregious, harsher measures are employed. Once you owe more than $2,500 in past due child support, your state CSE notifies the Federal Office of Child Support Enforcement (OCSE). 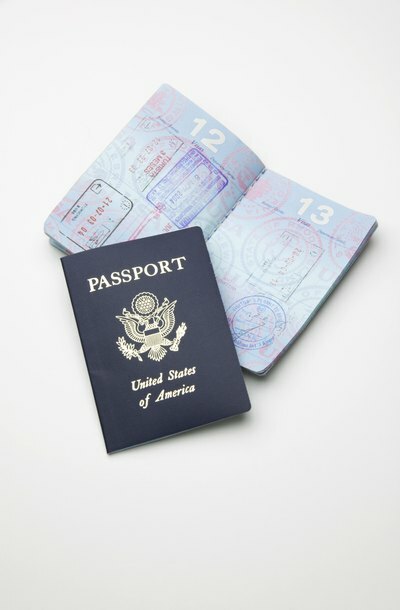 OCSE will in turn notify the U.S. Department of State, who then enrolls your case in the Passport Denial Program (PDP). Established by federal law in 1997, PDP prohibits the issuance and renewal of a noncustodial parent's passport. In other words, once you become more than $2,500 past due in child support, you may not apply for and receive a passport and any passport you currently have will be restricted and revoked. Once this happens, you remain ineligible for a U.S. passport until all arrearages have been paid or an acceptable payment arrangement has been made. Paying only enough to bring your arrearage to less than $2,500 is insufficient; the entire past due balance must be satisfied. Once your passport is revoked or denied for past due child support, there is only one way to restore this privilege and travel abroad: pay. Customarily, once a non-custodial parent's child support obligation becomes more than $2,500 past due, CSE will send notice of the case's referral to the Passport Denial Program. Additionally, if you apply for a new passport or renewal of a previous one, Passport Services will notify you that your application is being held for 90 days, pending payment of the past due child support. To remove these restrictions and restore eligibility, you must pay all past due monies or enter into an approved payment arrangement. Once this is done, CSE will notify PDP, which will release your name from their national child support arrearage list. If you applied for a passport or renewal and your name is released within the 90-day hold period, Passport Services will resume processing your application. If not, a new application is required. Passport Services does not control the national child support arrearage list; therefore, it neither adds names to the list nor removes names from it. This is the responsibility of the Passport Denial Program. Passport Services simply consults the registry when processing passport applications. As a result, if your name remains on the list after satisfying your child support obligation, you will need to contact CSE and request removal. Only CSE can certify to PDP that your child support obligation has been satisfied and have your name removed from their list of outstanding arrears.